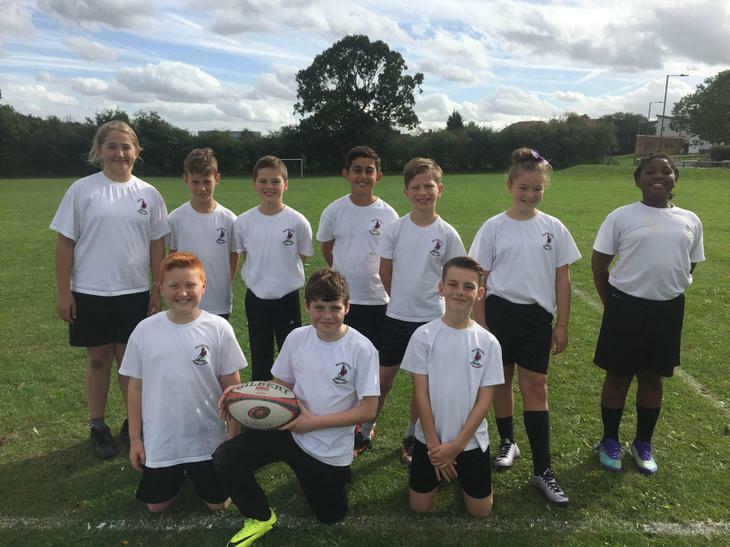 On Thursday 29th September Year 6 took part in the Borough Tag Rugby competition. The RFU have changed the format and this is now a non-scoring event, which is a shame. However, we played 5 matches and based on our self-scoring, we won 3 matches, drew one and lost one. It was a nice sunny afternoon and we scored some terrific tries as well as taking some excellent tags. The team worked well together, taking it in turns to be Captain, showing great sportsmanship and determination. Had it been more competitive, we were sure to have progressed into the next round. Congratulations to the team: Louis M, Charlie, Hiva, Tommy, Louis L, Rhys, April, Joy, Lucy and Louie P – you did all at WH proud.